It started with a tweet. That is how the brand/creative team at the Dr. Pepper Snapple Group explained their tactics to Introduction to Marketing students. This was in response to a question that the students posed, which was “Why did you deliver a real-life Dr. Pepper outdoor fountain to a K-State student?”. To reach one of the class goals of making marketing “real”, students were able to ask this question and many more during the 45-minute video conference session. The questions ranged from “Do you offer internships?” to “Can you explain how you monitor social media?” and “How did you choose this particular tweet and choose to act on it?”. 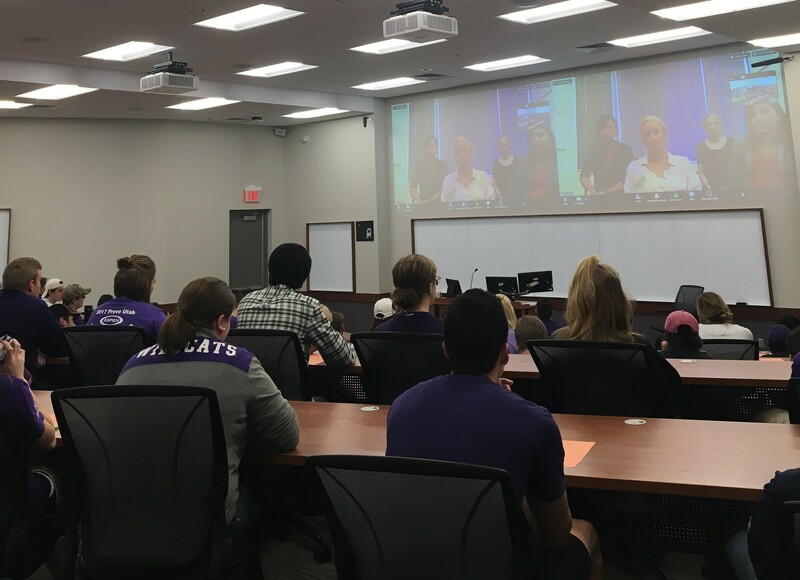 Many students commented afterward that they enjoyed this opportunity to talk to active marketers in the workplace and hear that the concepts covered in class are relevant to today’s work environment.